Queensland dragon boat club, Redcliffe Dragons got a huge boost when their new electric hoist was installed by Space Saver Rowing Systems. The club has been growing and so storing more boats becomes a problem when they are as heavy as dragon boats. Thankfully the solution was easy! Trendy modern ultra-hip concepts like mindfulness are rooted in careful mental understanding. That’s all nice to know but can it help us in rowing? Mindfulness is described as the practice of raising awareness or paying attention to what is going on in the present moment, without judgement, and with curiosity. Fundraising. One of the least exciting aspects of being on a dragon boat team, yet arguably one of the most important components of the club. Unless your team is sponsored by a large company or benefactor, you are constantly searching for ways to raise money in order to keep your boat afloat, so-to-speak. How far does SSRS go for its clients? Well we can give a specific answer – thousands of miles a year! Douglas Lumsden, the founder of SSRS travels for business every year to meet new customers, showcase our products and also to install new boat racking systems in boathouses across the rowing world. The solution to your boat storage woes! Are you tired of straining furiously to retrieve boats at dangerous heights, from unstable footings? Or perhaps your boatshed lacks the required floor space to store all of your boats effectively, making it difficult to access them when you need to – costing you valuable time on the water. Dragon Boating is unique among the sports we ‘paddlers’ involve ourselves in. 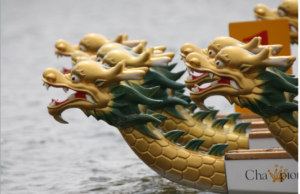 For instance, a single dragon boat carries enough people for two soccer teams – compare that to your single scull! Below we have some helpful articles for boat club managers about dragon boating, from safety protocol to stretching, teamwork and finances. Space Saver Rowing Systems is heading to Queensland to install their world leading designs, into the newly completed Varsity Lakes Boathouse.